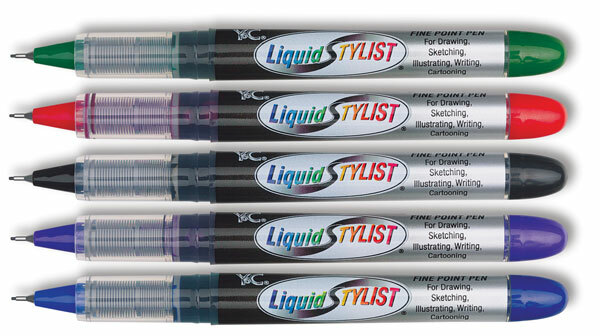 Ideal for drawing, sketching, illustrating, writing, and cartooning, these multi-purpose pens write smoothly, thanks to a durable fine-point tip. 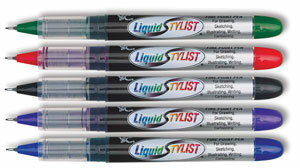 Their dense, smooth-flowing ink is non-toxic and acid free. This set includes Black, Red, Blue, Green, and Purple.